Beginning in June 1675, the Wampanoag, outfitted with rifles and armor, attacked a series of settlements and took the lives of dozens of colonial men, women and children. English forces retaliated in kind by destroying native villages and slaughtering the inhabitants. Soon other tribes, including the Narragansett, joined the fray and the entire region fell into conflict. 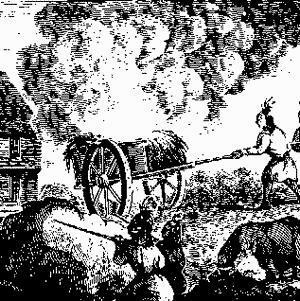 On the testimony of a Native American witness, Plymouth Colony arrested three Wampanoags, including one of Metacom's councilors. A jury among whom were some Indian members convicted them of Sassamon's murder; they were hanged on June 8, 1675, at Plymouth. Some Wampanoag believed that both the trial and the court's sentence were an insult to Indian sovereignty. 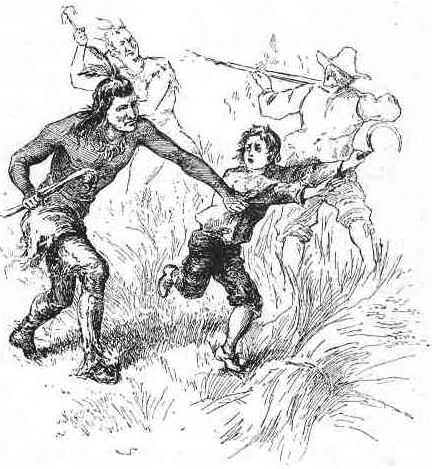 In response, on June 20, a band of Pokanoket, possibly without Philip's approval, assaulted several isolated homesteads in the small Plymouth colony settlement of Swansea. Laying siege to the town, they destroyed it five days later and killed several settlers and others coming to help the settlers.